[Update October 4, 2016] We have received a response today regarding our Sister City Campaign with the Seoul/Gwanak District, South Korea, and Montgomery County, Pennsylvania. The Director of Commerce for Montgomery County, Ms. DiGiorgio, has informed us that Montgomery County does not have a Sister City connections with any international region. Our Sister City Campaign had been launched based upon information obtained from Governors Association of Korea. With this confirmation given by Montgomery County of its nonparticipation with a Sister City, we will now close our Sister City Campaign, and online petition. Click HERE to learn more. 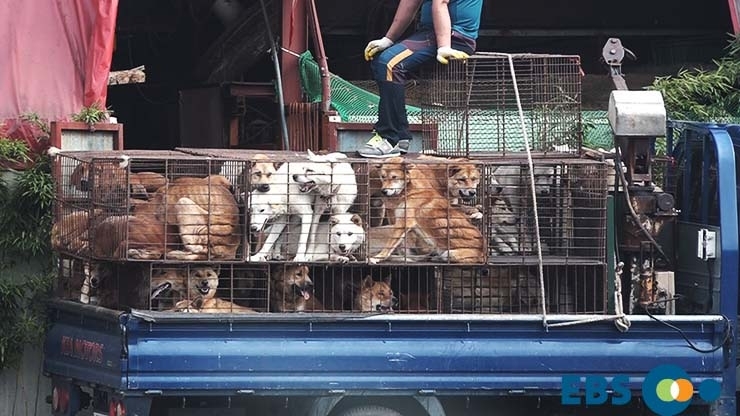 Commissioner Josh Shapiro of Montgomery County: Tell Sister City, Seoul Gwanak District, South Korea, That We’re Opposed to the Torture and Consumption of Dogs and Cats. Seoul Gwanak District became Sister city with Montgomery County in 2004. Seoul Gwanak District is one of the largest dog meat consumption areas in South Korea. There are countless dog slaughterhouses, markets and restaurants where the dogs, who are tortured their entire lives, end up being slaughtered in the most inhumane ways, such as by electrocution, hanging or beating; and then thrown into boiling water – sometimes while they are still alive. In many places, dogs are being killed in full view of other terrified, caged dogs; and this takes place in public and in broad daylight. In addition, many abandoned and stolen former pets end up in this industry, and are subjected to the same cruelty. The mayor of Gwanak-gu, Yoo Jong-pil, says that his city has just begun its journey to prosperity, where everyone will be able to greet a bright tomorrow. Extensive job opportunities will improve economic and social vitality and the dreams of the children will brighten Gwanak-gu. He claims that responsible and responsive public services will ensure the ultimate convenience for the citizens of the city, and humans and nature will continue to coexist in harmony. But how can there be any harmony as long as the barbaric dog and cat-meat trades exist? Does the convenience of the citizens depend upon dogs and cats living their entire lives in vile and inhumane conditions before being brutally slaughtered? Gwanak-gu can never have a bright future as long as its citizens continue to live in the past, and the dreams of its children will never come true. It’s time to tell the mayor and citizens of Gwanak-gu that a flourishing future can only happen when the dog and cat meat trades no longer exist. 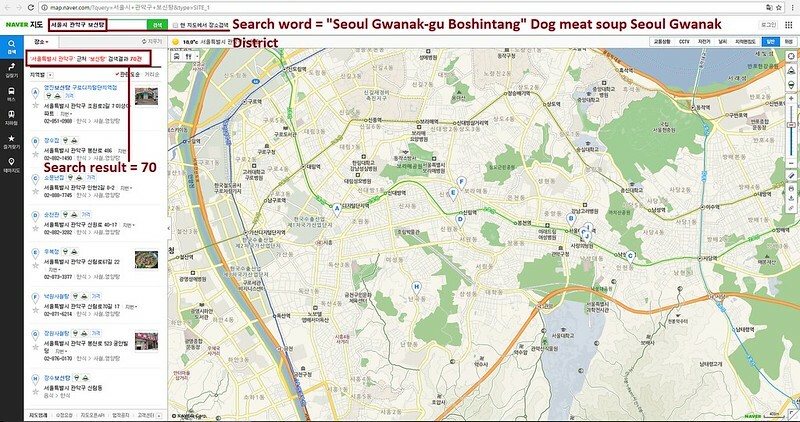 A Search Engine reveals the sickening scale of Seoul Gwanak District’s dog meat demand. 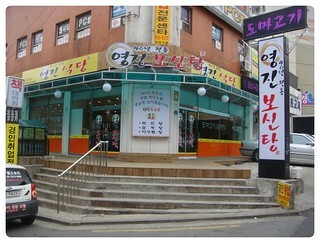 The searches resulted in: 189 Health Food Centers; and 70 restaurants in and around the city of Seoul Gwanak District alone. Even if half of these ‘Health’ Food Centers and restaurants serve dog and cat ‘ingredients’ in one form or another, just imagine how many dog/cat slaughterhouses must be present in and around Seoul Gwanak District in order to supply all of these outlets. Please sign petition, call and email Montgomery County Commissioner Josh Shapiro TODAY! Seoul Gwanak District is one of the largest dog meat consumption areas in South Korea. The Korean internet searches resulted in: 189 Health Food Centers which commonly sell dog/cat elixirs (also known as dog soju and cat soju); and 70 dog meat soup restaurants in and around the city of Seoul Gwanak District alone. No matter where you live PLEASE SHARE these actions with your friends – especially those who live in Montgomery County!